Today's mission is to declutter your junk drawer. 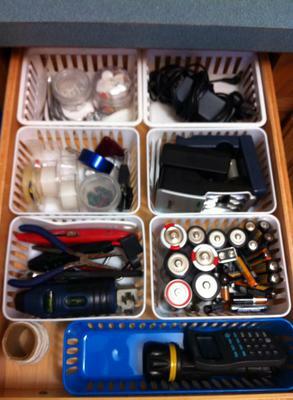 Many people have this drawer in their kitchen, but tackle yours wherever it may be in your home. In addition, if you've got more than one drawer do each one separately, but get rid of the clutter in each one, and perhaps you may even be able to consolidate them a bit. 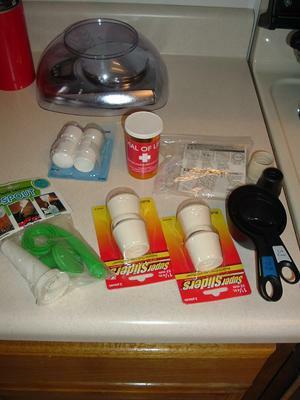 This mission is designed to be done in conjunction with the Kitchen Drawer and Cabinet Organization Challenge here on the site, which is part of the 52 Week Organized Home Challenge. Depending on the number of junk drawer you've got, and how cluttered and messy they are the mission may take you more than 15 minutes. But if so, take it in 15 minute chunks and you'll get it done! In addition, this article is designed to help you learn how to declutter your drawer, and get you inspired. After you've gotten rid of all the clutter, the next step will be to organize what is left. For that I've created a different article with lots more ideas and real life pictures from readers. 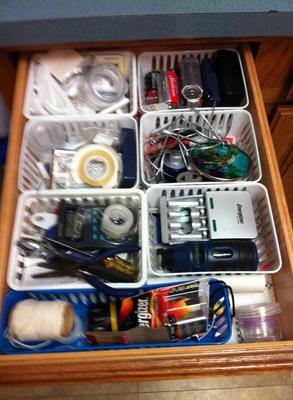 You can check out how to organize your junk drawer here. With many decluttering missions I don't actually suggest pulling everything out at once, because you can end up with a bigger mess if you get overwhelmed or run out of time before you can deal with everything. may find it easiest to actually take everything out of the drawer when you begin this process. Once you can actually see everything and spread it out further, first start by taking and throwing away all the trash and broken objects. Next, look for items that don't belong in the drawer, but instead should have a different home. Take the time to actually put them where they need to go, and not just leave them laying on a flat surface where they become clutter in a different spot. Once you've re-homed everything that doesn't belong look at what's left and if you haven't used it or even needed it and it's been six months, or a year, seriously consider decluttering it permanently. Finally, after doing those steps, look at what you've got left and group like items together, and then assess whether you actually need that many of ________ (fill in the blank). Do you need three boxes of staples, or 27 pens? Winnow it down to a more reasonable amount of whatever you've decided to keep in there. That should get you a long way toward decluttering the unnecessary clutter from your junk drawer, and allow you find what you actually do need and use in there more easily in the future even without too much organization. Below I've got pictures from readers who've already taken on this challenge telling (and showing) you what they've done to get you inspired, and give you ideas for how you can tackle this mission yourself. Joann sent in two photos from this mission. 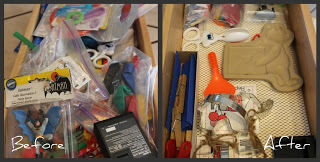 She explained of the before photo: "I had bought the plastic baskets about a week ago on anticipation of the junk drawer clean up and instead of throwing them somewhere I put then in the drawer and threw all the junk inside." Then, she said of the after photo, "Junk gone and organized same items in each basket. Surprising what you find in a junk drawer :)"
Jessica said: "I removed the contents. Cleaned the drawer. Relocated several items to more logical places. Tossed several items. Replaced the things I want to keep handy." The Procrastinating Hummingbird tackled this mission, and made some great organizational gains. 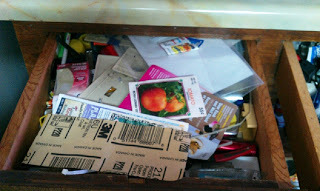 She explained: "Here it is: the notorious "junk drawer" that also housed the kiddie silverware. Somehow it wound up looking like a goodie bag. 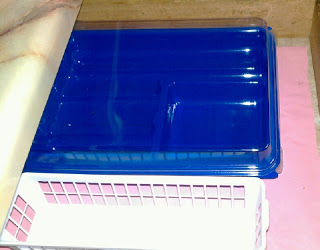 I couldn't believe all that I found in here when cleaning it out (that's what happens when it isn't child-proof latched and your four year old is responsible for it)." Here's another before and after picture from a reader, Maggy, who said: "I did it and I couldn't be happier now that it's cleaned out. I introduced the 'new' look to the rest of the family and told them to put things back in the right place or no meals! 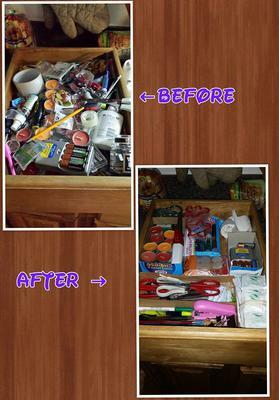 hahaha"
Margarita shared the before and after picture of her organized junk drawer on the site's Facebook wall. This is a really awesome transformation! Thanks so much for sharing. Consolidated From Two Drawers To Just One! 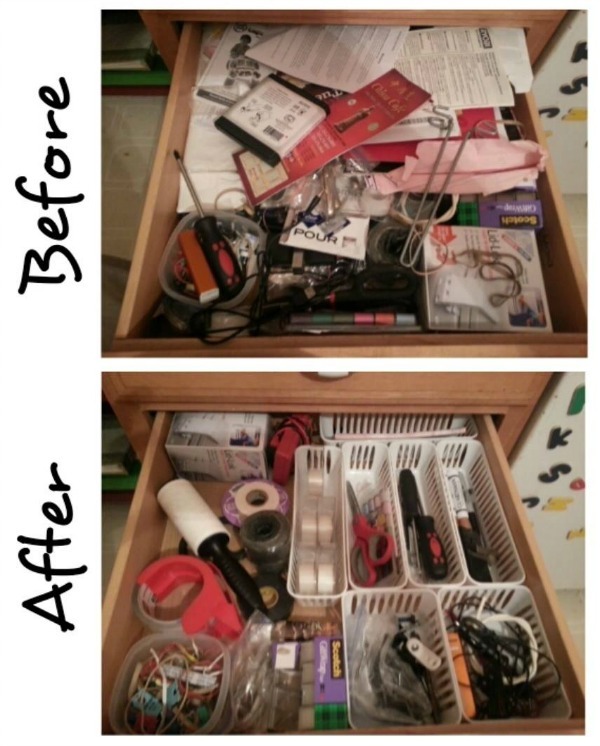 Reecea from Fresh Juniper shared before and after pictures of her organizing process. She started out with two drawers and explained "there were four grocery bags full of junk in the junk drawers. Who knows how long it had been since they were cleaned out?" 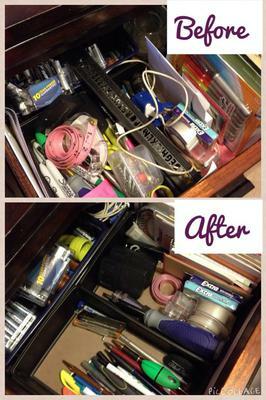 She decluttered and trashed quite a bit of stuff and eliminated one of the drawers completely! She said, "I don't think we needed two junk drawers. How do you like my Dollar Tree pink wrapping paper as a drawer liner? 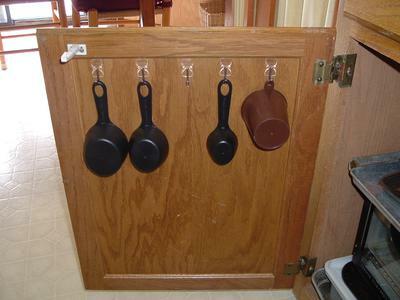 When we do put some junk in here, I've got a couple of storage container options to keep it organized." I've been told so many times now about how readers are finding cash, coins, and even gift cards -- found money -- when they take on this decluttering and organizing task. What follows are just a couple of things shared with me by readers. The picture is the changed cleaned out of an old jar, basket and junk drawer in kitchen: $42.00. I had some leftover change, not enough to wrap, so I washed a small milk bottle and cut a slit in the top for change to make a milk money bank. I love your site and looking forward to an organized home. I just wanted to share how it pays to clean out your junk drawers. In the process of cleaning out mine I have found 4 Costco cash cards. I called the number on the back of the card to inquire about the balance and was amazed that there was over $150 dollars between all the cards. It pays to be organized!!! My husband cleaned out our junk drawer a few weeks ago and we had $75 in change in there! 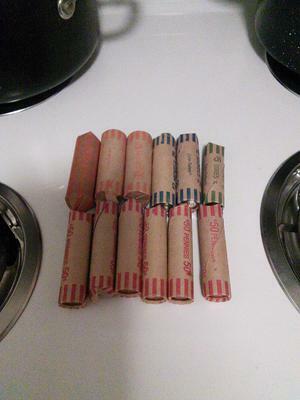 We collect the change and either pay a bill (if money is tight that month) or add it to our sons savings accounts. Wow everyone! That is completely awesome. Glad you found all that money! It does pay to be organized sometimes! 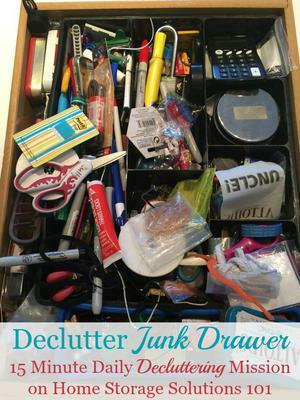 Are You Ready To Declutter Your Junk Drawer Now? 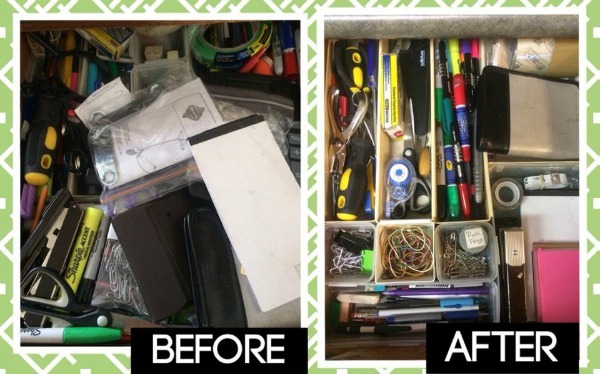 I hope these photos and success stories shared by readers has gotten you in the mood to tackle your own junk drawer. Just look at these before and after pictures, like the one above from a reader Sarah, and I dare you to not be inspired! 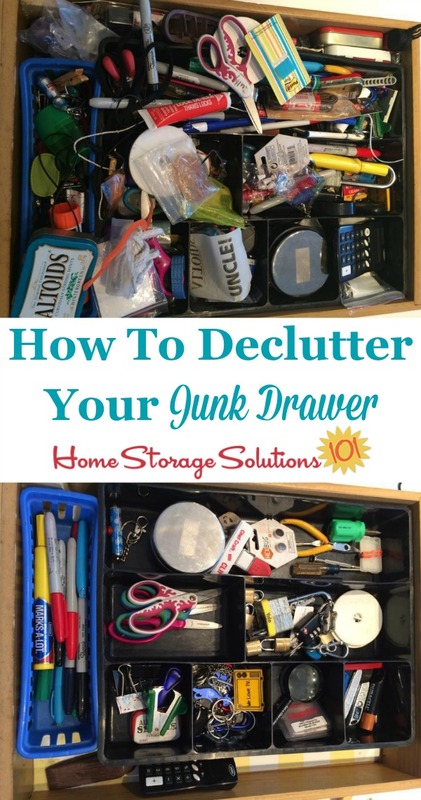 And don't forget, once you've got your drawer decluttered go over to the how to organize your junk drawer article here on the site for tips for organizing the non-clutter stuff you've got left. 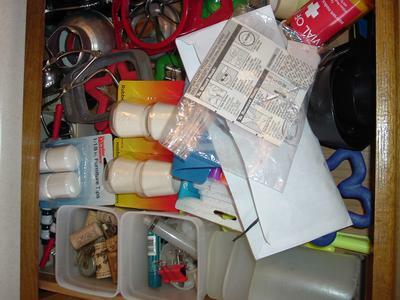 This decluttering mission is part of the Declutter 365 missions here on the site. 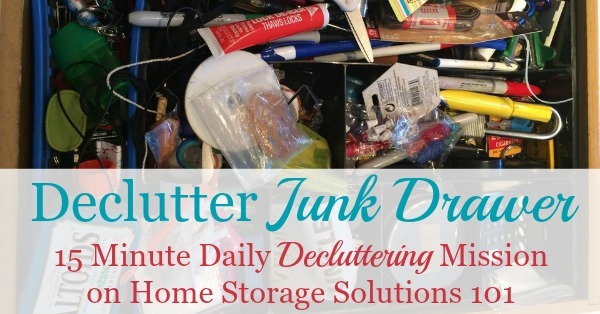 Comments for Are You Ready To Declutter Your Junk Drawer Now? I have been collecting bread tins from the thrift store. Five of these fit nicely into my junk drawer and I can sort items into them. They are deeper than a cutlery tray, but act in a similar fashion. What is a bread tin??? These all look like office drawers lol. Mine is full of kitchen junk. Great tips. Can't wait to get started. Thank you. Now (maybe) I can catch up! I'm amazed at myself, but I honestly don't have a junk drawer! Been looking at the stuff other people call junk and realized I have a place for scissors, tape, pens, batteries, lint rollers, rubber bands, coins, etc. A real home! Gonna use this day to finish putting my Christmas decorations away! We used the 'found' money and change to take the kids to the arcade. They had such a blast (and we did, too) that they ask if the change jar is full so we can go again! I have my household tools n junk in a shoebox sized plastic container on a half shelf in my bottom cabinet. Why call it a junk drawer? To me that means junk goes in there. Why not call it an Odds and Ends Drawer? or Catch All Drawer? 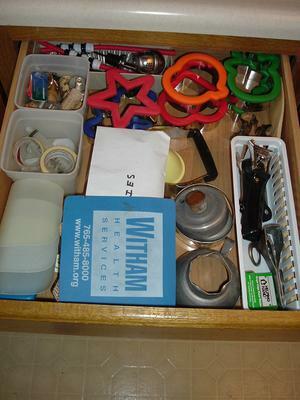 Granted everyone knows what you are talking about when you say junk drawer but that seems so negative. If it's junk it should be thrown away! I'm sure some of your subscribers could think of a better name for the junk drawer but for now I'm calling mine an Odds and Ends Drawer.